Here’s another way to protect your budget – take advantage of the free account balance alert feature that many banks now offer. You can request an email you or a text message to your phone letting you know when your account balance falls below a level you specify or when your direct deposit paycheck has posted. They’ll also send reminders of when your bank payments are due, such as credit card debt or other lines of credit. While there’s no guarantee the alerts will protect you from overdrawing your account or being charged fees you weren’t anticipating, they will let you know where you stand. If you do overdraw or get hit with fees, the alerts will allow you to take immediate steps to get back on track paying your bills if you break your budget. You can prevent overdrawing your account, which is especially important if you’re still using a debit card. 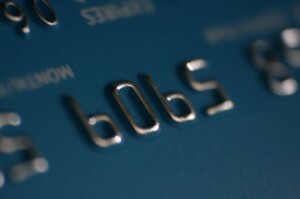 Instruct the bank to remove the ability to overspend from your debit card. Make sure the bank reduces the amount you can overdraw to $0. This is quite an important move for budget protection. It also keeps from getting into debt with the bank by having to worry about having an overdraft line of credit. Once you’ve run out of funds, banks typically allow you to keep using your debt card as a credit card. Sometimes, they’ll even allow you to withdraw as much as $400 from ATM This allows them to charge you interest on the amount of the overdraft, which can be quite costly. Probably the best way to limit overdrafts and otherwise spending more than your budget allows by getting rid of the credit and debit card. Just carry the amount of cash you have budgeted. These are all great ways to protect your budget and keep it working for you. Remember that it’s an important asset so you need to protect it from the biggest threat is has – your own ability to splurge and take yourself off track. .